Dr. Kui Xie is the Cyphert Distinguished Professor and chair of the Learning Technologies program in Department of Educational Studies at The Ohio State University. He earned his Ph.D. in Instructional Psychology and Technology from University of Oklahoma. He directs The Research Laboratory for Digital Learning at OSU. His main research interests focus on (1) digital learning design and implementation, (2) motivation, engagement, and self-regulation in digital learning, and (3) teacher technology professional development. Xie is a member of the editorial board of Contemporary Educational Psychology. He served as president for American Educational Research Association Special Interest Group Design and Technology, and section chair for AERA Division C Section 3.A. Learning Environments. In 2015, Xie was named the Ted and Lois Cyphert Distinguished Professor. 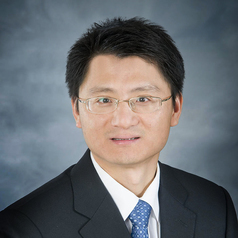 In 2017, Xie received the EHE Distinguished Research Award from The Ohio State University. He also received a Chang Jiang Scholar Award from the Chinese Ministry of Education.